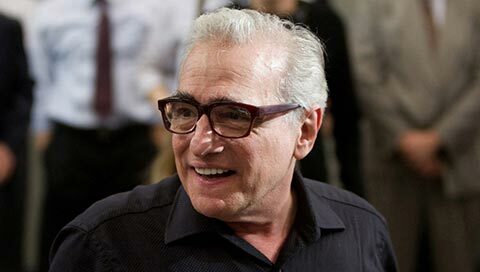 Few directors have Martin Scorsese’s talent to tell entertaining stories about the seamier side of life. He has a unique ability to get us to understand and often be seduced by the people who live outside of the accepted norms. 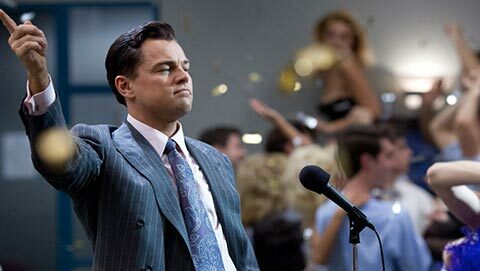 That’s an approach he’s used with great success in films like Taxi Driver, Goodfellas, Gangs of New York and others. 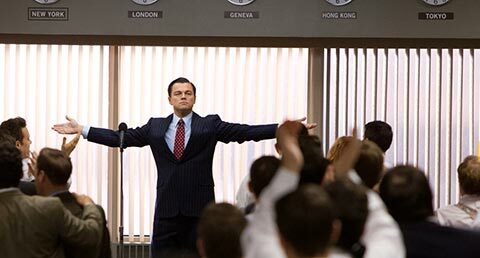 Following this path is Scorsese’s newest, The Wolf of Wall Street, based on the memoir of stock broker Jordan Belfort. 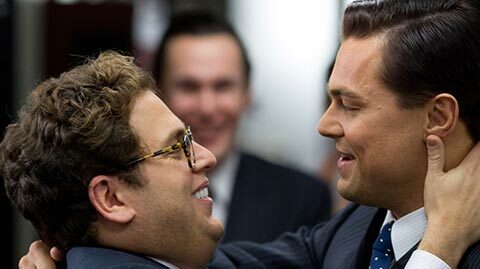 The Wolf of Wall Street started production in 2012 for a six-month-long shoot and completed post in November 2013. It was shot primarily on 35mm film, with additional visual effects and low-light material recorded on an ARRI ALEXA. The negative was scanned and delivered as digital files for editing on a Lightworks system. Schoonmaker discussed the technical aspects. “[Director of Photography] Rodrigo Prieto did extensive testing of both film and digital cameras before the production. Scorsese had shot Hugo with the ALEXA, and was prepared to shoot digitally, but he kept finding he liked the look of the film tests best. Rob Legato was our visual effects supervisor and second unit director again. This isn’t an effects film, of course, but there are a lot of window composites and set extensions. There were also a lot of effects needed for the helicopter shots and the scenes on the yacht. Rob was a great collaborator, as always. Originally written for DV magazine / CreativePlanetNetwork. The newest stereo 3D film sensation promises to be Martin Scorsese’s Hugo, just in time for the holidays. The film is the director’s first 3D venture and is based on The Invention of Hugo Cabret, a children’s graphic novel written and illustrated by Brian Selznick. It’s the story of twelve-year-old Hugo, an orphan who lives in the walls of a busy Paris train station. Hugo gets wrapped up in the mystery involving his father and a strange mechanical man. Scorsese – who’s as much a film buff as an award-winning director – has a deep appreciation for the art form of past 3D films, like Dial M for Murder. 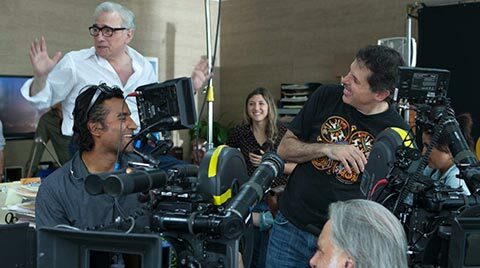 In adapting this fantastical story, Scorsese and his Oscar-winning team have an ideal vehicle to show what stereo 3D can do in the right hands and when approached with care. Unlike the groundbreaking Avatar, which relied heavily on motion capture and synthetic environments, Hugo is a more cinematic production with real sets, actors and is based on the traditional language of filmmaking. Hugo started production in 2010 using then-prototype ARRI ALEXA cameras, which were configured into special 3D camera rigs by Vince Pace. The ALEXA was the choice of cinematographer Bob Richardson for its filmic qualities. Camera signals were captured as 1920 x 1080 video with the Log-C color profile to portable HDCAM-SR recorders. Hugo will be the first 3D release produced with this particular equipment complement. With post for Hugo in its final stages, I had a chance to speak with two of Scorsese’s key collaborators, Rob Legato (visual effects supervisor and second unit director of photography) and Thelma Schoonmaker (film editor). From the imagery of the trailers, it’s clear that Hugo has received a masterful touch. If, like me, you’ve made an effort to skip the 3D versions of most of the recent popular releases, then Hugo may be just the film to change that policy! As Rob Legato pointed out, “Hugo is a very immersive story. It’s the opposite of a cutty film and is really meant to be savored. You’ll probably have to see it more than once to take in all the detail. Everyone who has seen it in screenings so far finds it to be quite magical”. Some addition stories featured in the Editors Guild Magazine, Post magazine, another from Post and from FXGuide. And even more from Rob Legato and Thelma Schoonmaker.